Scientists have been trying to digitize a living brain for quite some time, and why not. After all, a digital brain might be able to make robots autonomous and give them the ability to respond to stimuli without being told what to do in such cases. Now, it seems that scientists have taken major strides towards a future filled with robots with such digitized brains. Researchers have reportedly succeeded in digitizing the brain of a worm and putting it into a robot. That sentence makes it sound like an easy task, but it was nothing short of monumental. The scientists spent years studying the relatively simplistic brain of the worm — a Caenorhabditis elegans — learning how every single cell in the brain behaved, and how it interacted with its surrounding cells. Using this information, researchers built a program that could effectively mimic every interaction the organic brain can have — decades of observations and learning about the C.elegans brain helped them in this endeavor. The scientists then proceeded to attach sensors to the robot’s ‘tail’ and ‘nose’, so it’d be able to know when it was approaching a wall or another obstacle and respond accordingly. Turns out, the digitized brain works really well. 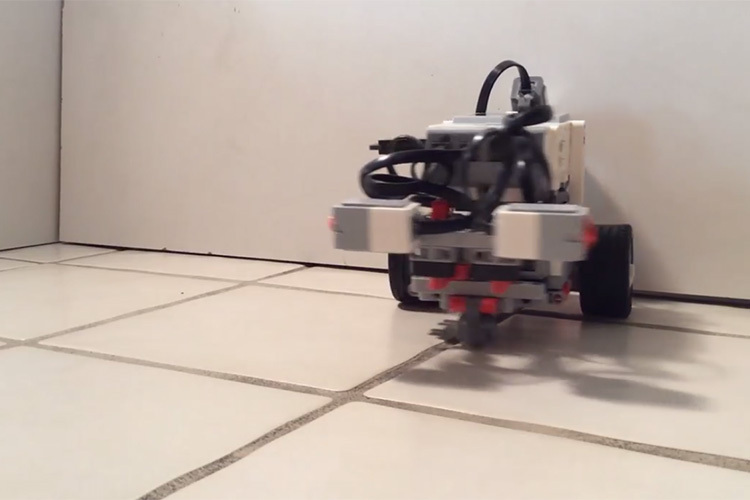 The wormbot was able to move on its own, stop and turn around when it encountered obstacles in its path, and basically behave the way a C.elegans would’ve, all without needing a program to tell it what to do. It’s a pretty remarkable feat, and while we’re nowhere near building sentient AI brains, this is definitely a giant step forward towards creating digital brains that can mimic the way a real brain works, complete with the way neurons fire and everything else that comes together to form such interactions inside living organisms. A lot of work is yet to be done, and a lot of research is dedicated to this very field, but realistically, we’re still far out from the day we see human-like digitized brains in humanoid robots. We’re definitely living in exciting times.